The God Delusion is a book by the agnostic Richard Dawkins, in which he argues that belief in God is irrational (see also: Richard Dawkins and agnosticism). Although Richard Dawkins declared himself an agnostic in the book The God Delusion, he declared that atheist evangelism is important. 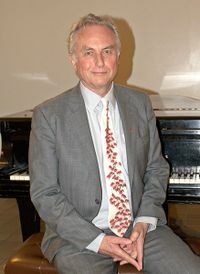 Author Vox Day wrote concerning this matter, "While the fact that Dawkins declared himself a literal agnostic in the very book in which he declared the importance of atheist evangelism is both ironic and incoherent, it will surprise no one who has read the chapter of The Irrational Atheist entitled "Darwin's Judas". In 2010, it was reported that The God Delusion sold 2,086,402 copies and 907,161 of those copies were sold in North America. Contrastly, in 2010, the evangelical Christian Rick Warren sold between 25,000,000 and 50,000,000 copies of his book The Purpose Driven Life. According to the website Guinness World Records, a survey by the Bible Society concluded that around 2.5 billion copies [of the Bible] were printed between 1815 and 1975, but more recent estimates put the number at more than 5 billion." The Economist reported in 2007, "...over 100m copies of the Bible are sold or given away every year. Annual Bible sales in America are worth between $425m and $650m; Gideon's International gives away a Bible every second. The Bible is available all or in part in 2,426 languages, covering 95% of the world's population." Dawkins' main objectives are to convince his readers that the existence of God or any other deity is highly unlikely, that the Bible is incoherent, that morality does not come from religion, and that if religion does effect morality, it only does so negatively. Critics have called the book "surprisingly intolerant". Dawkins also intends to teach that atheists can live happy, intelligent, lives—perhaps even happier lives than religious people. He asserts that atheists do not do evil things in the name of atheism, while religious people have been known to commit atrocities in the name of their religion. 1.4 Alister McGrath: The Dawkins Delusion? The God Delusion has been subject to a great deal of criticisms from the religious and the non-religious alike. "It has been obvious for years that Richard Dawkins had a fat book on religion in him, but who would have thought him capable of writing one this bad? Incurious, dogmatic, rambling and self-contradictory, it has none of the style or verve of his earlier works." Andrew Brown of Prospect Magazine was unimpressed by Dawkins' book. Brown calls atheism "unnatural" and points out that many atheists were violent in their belief (or lack thereof), citing Stalin killing members of the clergy. Brown also attacks Dawkins' argument that suicide bombers are caused by religious schools. While Dawkins states that if these children were not taught what he calls "faith without question", suicide bombings would not be an issue. Brown, however, says that religion is not a necessity in suicide bombings. He points out that it is a tactic used by Marxists in Sri Lanka. "There is a pervasive exclusion of historical memory in Dawkins's view of science. Consider this sentence from his preface, which occurs in the context of his vision of a religion-free world: 'Imagine . . . no persecution of Jews as 'Christ-killers.'" Robinson's major complaints about The God Delusion lie in how sheerly false the book is in many aspects. Although Dawkins claims that "the majority of us believe in free speech", she points out that most countries do not, pointing out that China (population 1.3 billion) does not. In her review, Robinson basically says that Dawkins purposefully ignored important parts of history in his attempt to convince his readers. "It's a shame," she says, "to see him reduced to one long argument from professorial incredulity." "Card-carrying rationalists like Dawkins [...] are in one sense the least well-equipped to understand what they castigate, since they don’t believe there is anything there to be understood, or at least anything worth understanding." Alister McGrath: The Dawkins Delusion? The Dawkins Delusion? is a response to Dawkins' The God Delusion by Alister McGrath. "The God of the Old Testament is arguably the most unpleasant character in all fiction: jealous and proud of it; a petty, unjust, unforgiving control-freak; a vindictive, bloodthirsty ethnic cleanser; a misogynistic, homophobic, racist, infanticidal, genocidal, filicidal, pestilential, megalomaniacal, sadomasochistic, capriciously malevolent bully." "I am one of an increasing number of biologists who see religion as a by-product of something else." "By contrast, what I, as a scientist, believe (for example, evolution) I believe not because of reading a holy book but because I have studied the evidence... Books about evolution are believed because they present overwhelming quantities of mutually buttressed evidence." "... [Moral absolutism] rules the minds of a great number of people in the world today, most dangerously so in the Muslim world and in the incipient American theocracy... Such absolutism nearly always results from strong religious faith, and it constitutes a major reason for suggesting that religion can be a force for evil in the world." ↑ Mailvox: Richard Dawkins is not an atheist! ↑ How Many Copies of The God Delusion Have Been Sold? This page was last modified on 9 April 2019, at 17:45. This page has been accessed 40,119 times.